The Shang are a four-piece alt-rock band from Camden in the outskirts of Western Sydney. Birthed at an open mic night in their local bowling club, they played their first show as a four-piece in December of 2016, and have since developed their passion for playing together. They hold close to their hearts their different influences, from rock to psychedelia, incorporating these elements into their playing style. In early 2017, The Shang released their debut single ‘Kiki’, which currently boasts over 300,000 plays on Spotify, drawing attention from Sydney, Melbourne and London. They have since released an EP titled ‘The Kiki EP’ which also encounter success with each track exceeding 10,000 plays. 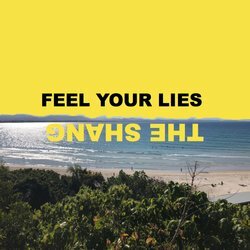 The boys are set to release their follow up single, ‘Feel Your Lies' in early 2019 backing it up with a national tour. Using their experiences over the past year, both good and bad, they give you an insight into their world.